I have a confession. 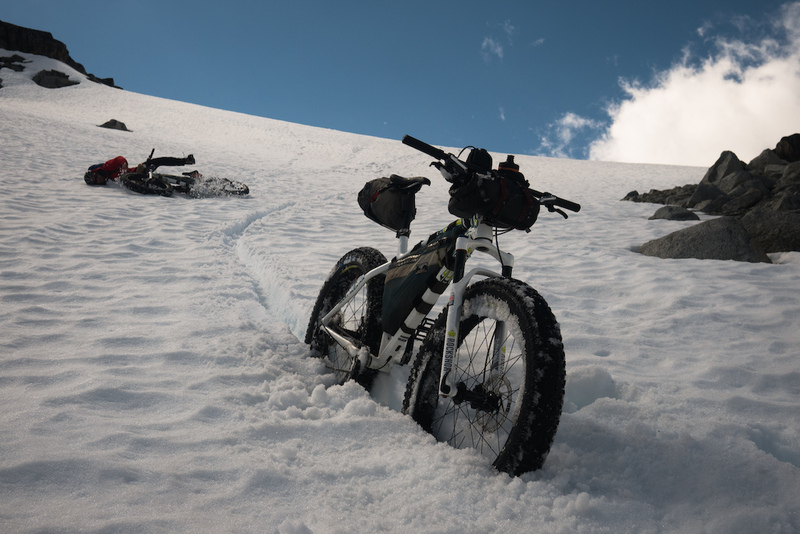 Before this trip, I'd never actually ridden a fat bike on snow. 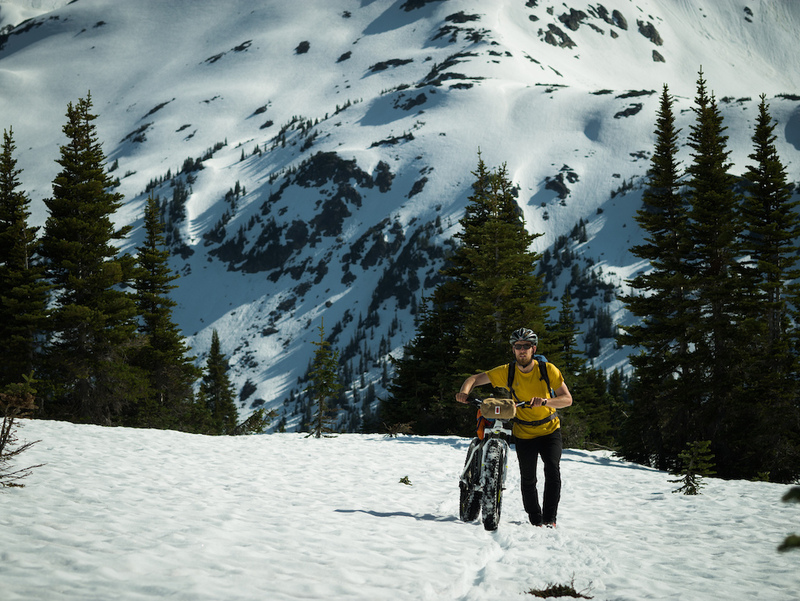 I'd played around on some sand, and generally felt the worth of fat rubber, but coastal British Columbia is not exactly a prime location for riding bikes on snow. 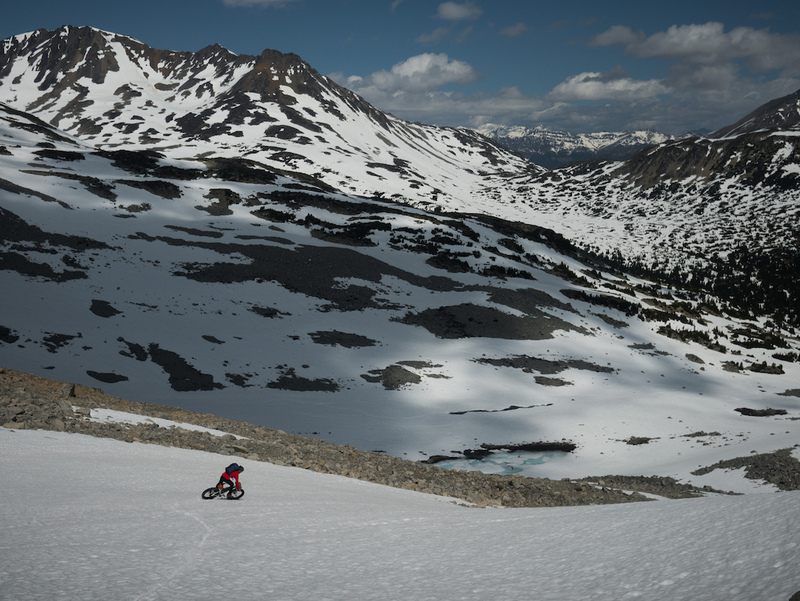 This area is known for steep, glaciated peaks, and bottomless powder, neither of which mix well with fat bikes. 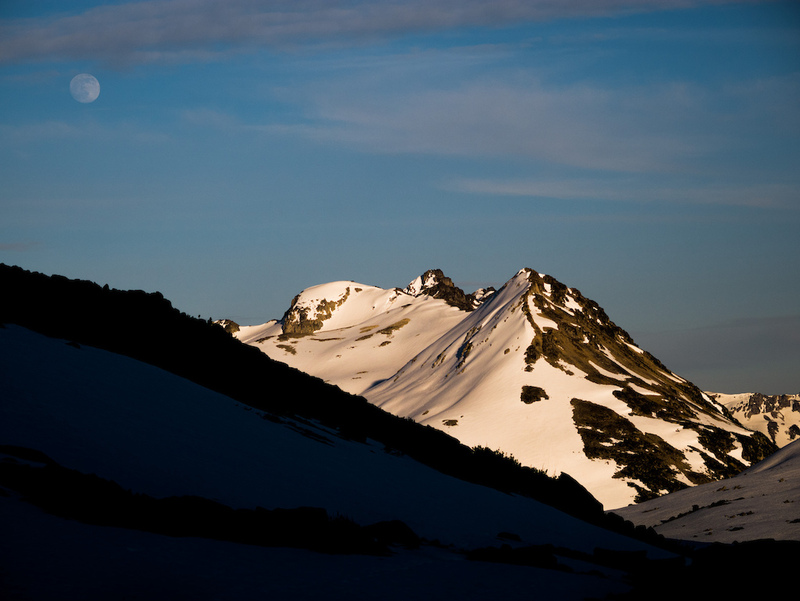 Backcountry skis are the tool of choice for moving around the mountains for much of the year. Sadly, this season let me and many other backcountry skiers down. Record-breaking warm temps and low precipitation meant for a low-powder, low-excitement ski season for all but the most motivated. 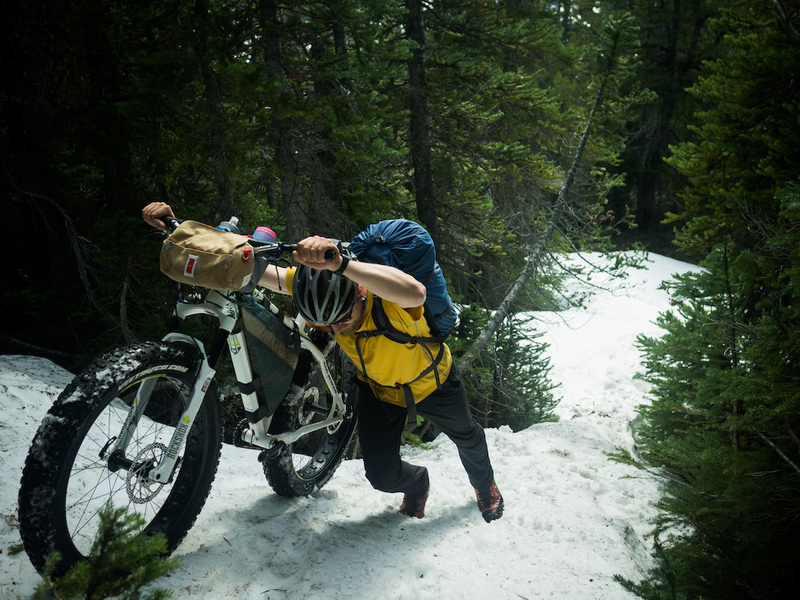 When that awkward time of the season arrived in late May, when there's still snow in the alpine, but too much bush between there and the trailhead to encourage much skiing, I hadn't had my fill. Rather than turning my attention downward to the prime riding season underway near sea level, I had the novel idea to just go ride on snow. Knut is a man who enjoys novelty. 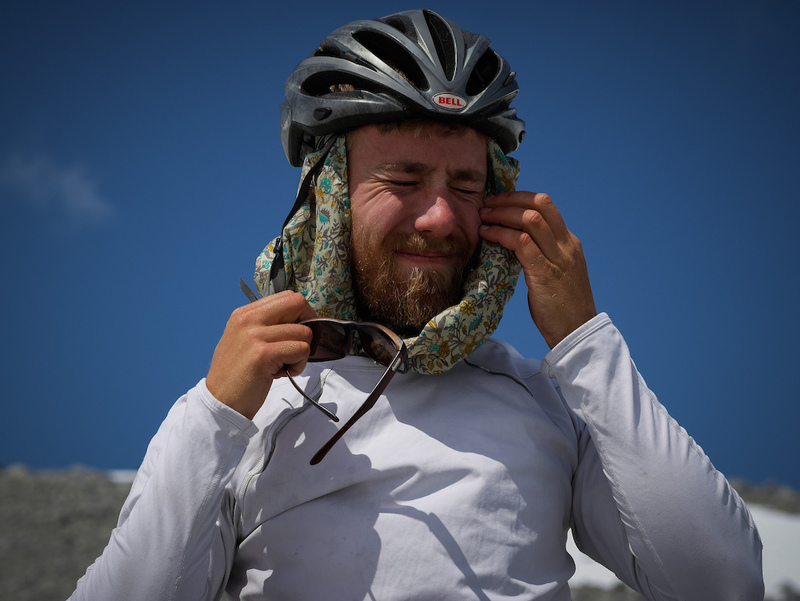 He seems to derive a sort of sheepish pleasure from putting strange, impractical handlebars on his mountain bike, sewing quirky patches to his gear, smoking a wizard-length tobacco pipe, or eating monstrously large apples – “novelty hand fruit”. 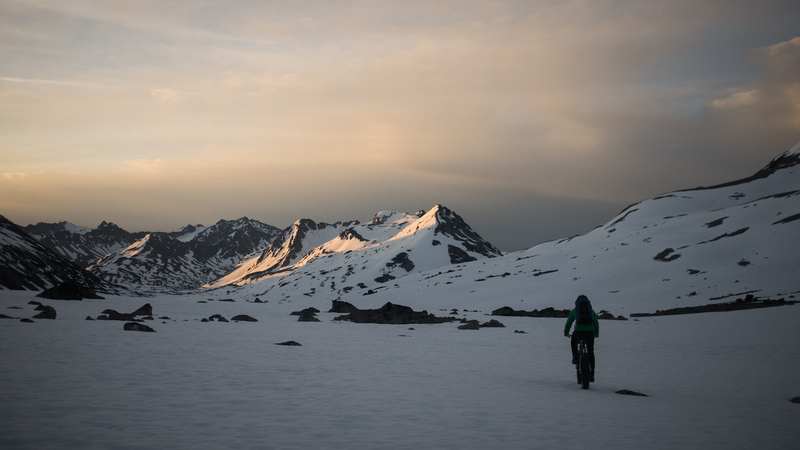 He was evidently prepared to overlook the probable outcome – that we'd bushwhack several kilometres with bikes before pushing them a short ways through knee-deep slush – when we came up with a half-baked plan to attempt a ski tour without skis. 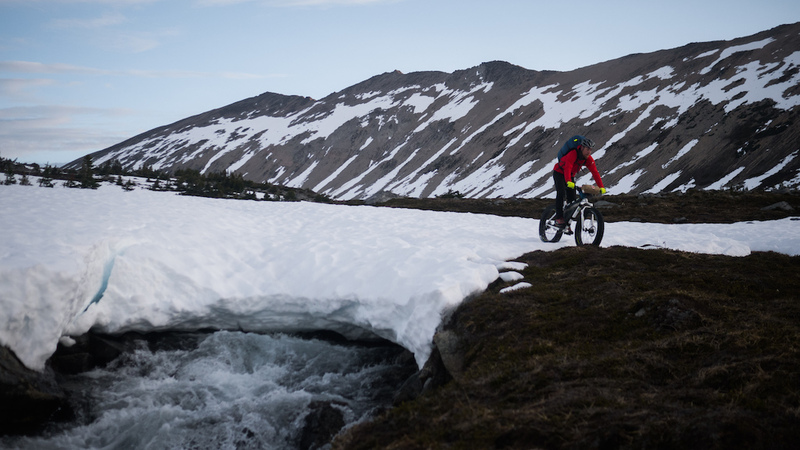 After a long drive to the South Chilcotins, our first day of riding met all of our expectations – bushwhacking, bike pushing, bike carrying, and post-holing in slush. 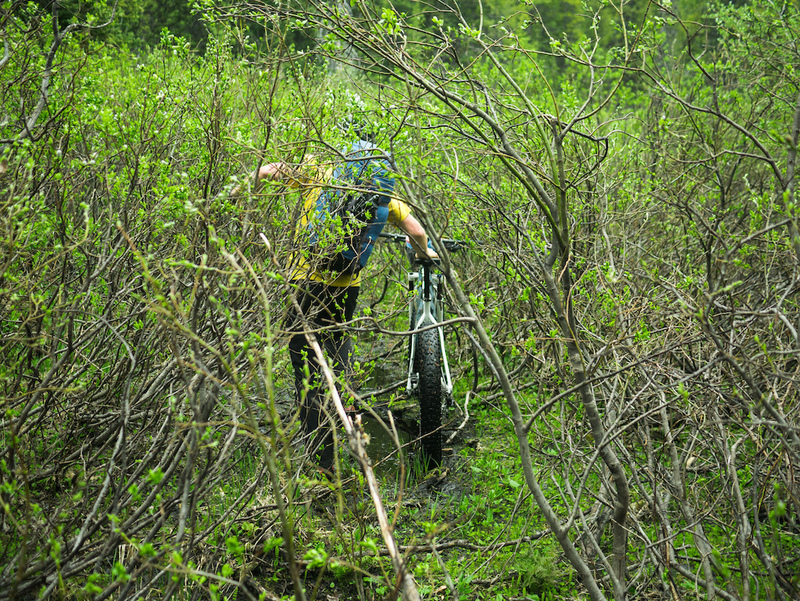 We weren't riding the trails that have made this corner of the Coast Mountains famous. No, those were already, almost entirely snow-free and ready for conventional tire sizes. Instead, we followed a forgotten horse trail up Slim Creek, aiming for a snow-covered alpine plateau west of there, and the mellow glaciers beyond. By mid-afternoon we'd climbed above the trees and any sign of a trail. It was immediately clear that we could not ride on the rapidly melting snow. 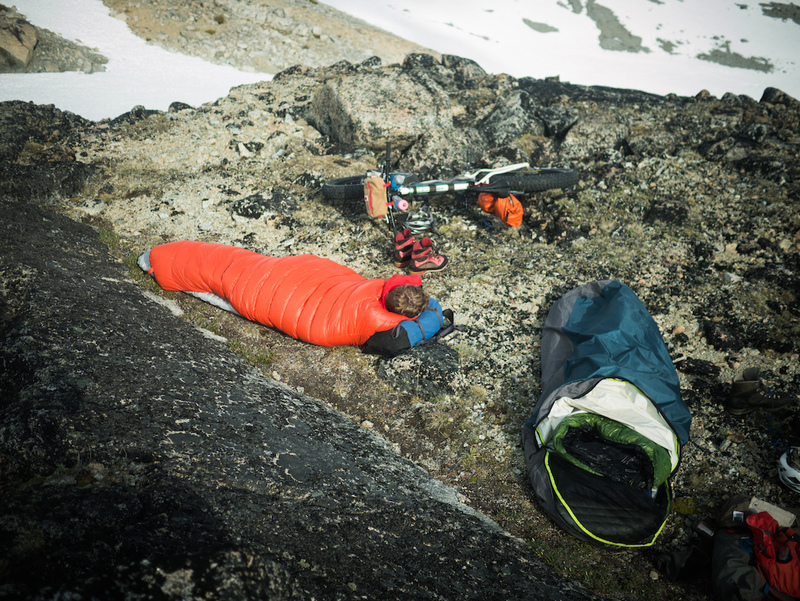 We relaxed at an early camp, and set alarms for 1:30AM with low expectations. 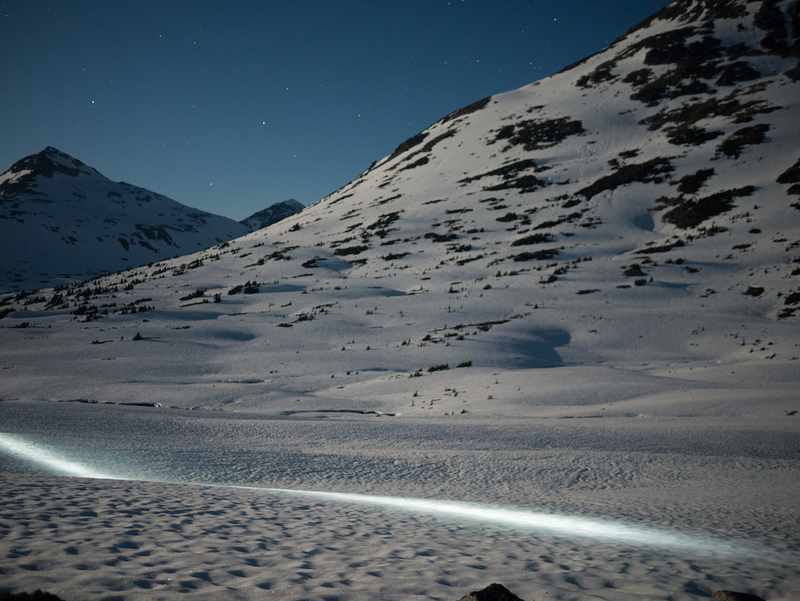 At 2AM, we rode away under a bright moon on a firm, frozen crust. We'd been hoping for this, but were surprised enough by the easy riding that we made the mistake of stopping for a protracted breakfast before the sun was even up. We wouldn't take full advantage of the crust, which didn't form reliably until after 1AM, and lasted only until 7AM, until the following night. After a meal of savoury "alpine gruel", in this case couscous with some sausage, cheese, and red pepper we read and relaxed, waiting for night. We'd chosen the expansive alpine area at the headwaters of Slim Creek and the Taseko and Lord Rivers for its relative flatness. While I suspected that we could ride down steep slopes, and that our climbing would depend more on our lungs than on tire traction, I was not expecting much success on side-hills. Yet, as we rattled over kilometres of sun-cupped snow, tires aired-down to a few PSI, we held our elevation tightly around the side of valleys, traversing up to twenty degree slopes. A world of possibility unfolded. 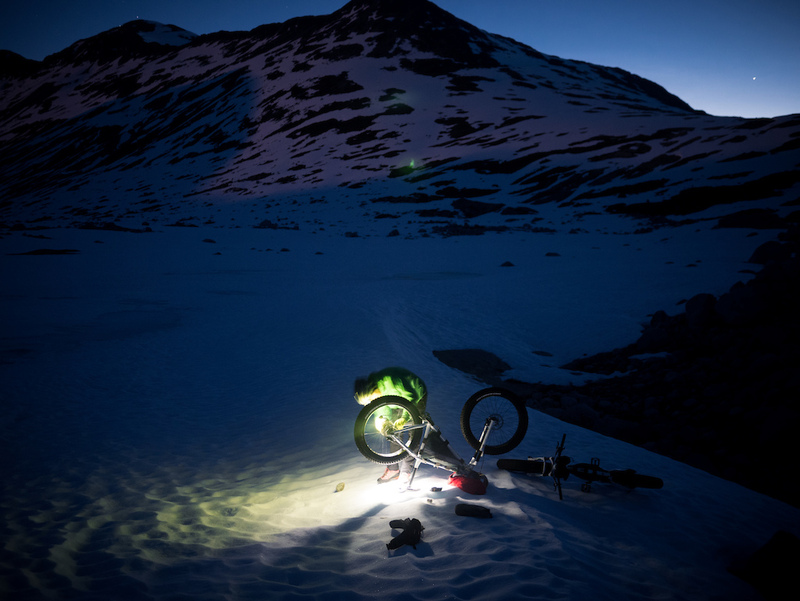 If you're motivated by speed, fat bikes are not the best tool. But progression is not all stop watches and slow-mo whirligiging. I ride because of wanderlust. George W. had it wrong; “freedom and democracy” are not delivered from the end of an M16. The bicycle is the best agent of liberation. I measure my riding with breadth of my mental map. Our faint tracks on the pre-dawn crust become lines on crinkled pages of my cerebral atlas. I've found there to be an inverse correlation with the number of things I have to think about, and the richness of an experience. Too often, gadgets rob us of real living. Nevertheless, it seems that something as wholly material as tire width has a direct effect on the potential to expand my known universe. 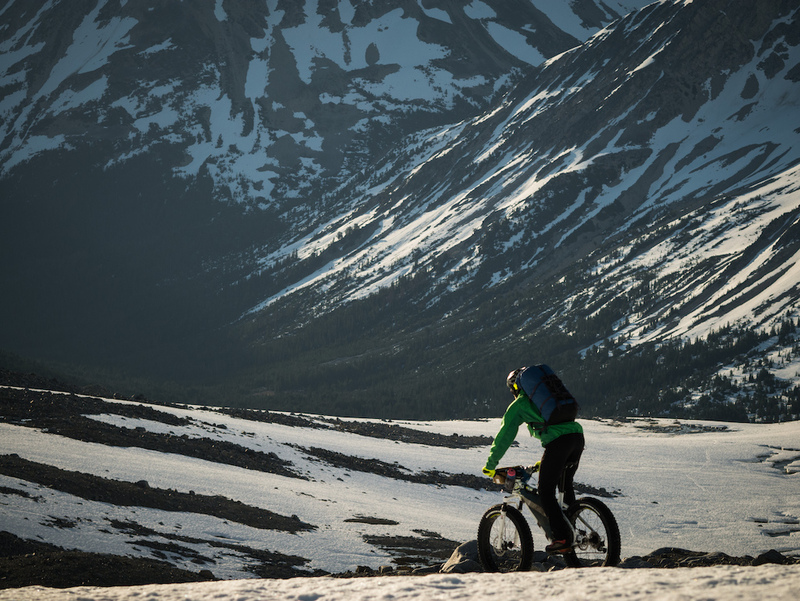 That's what fat bikes are all about – potential. Not only are there new trails to be ridden, but places with no trails at all. Even slowly pedalling nowhere can be exciting. And has there ever been a bike at Griswold Pass? The sun was out in full force shortly after breakfast time. 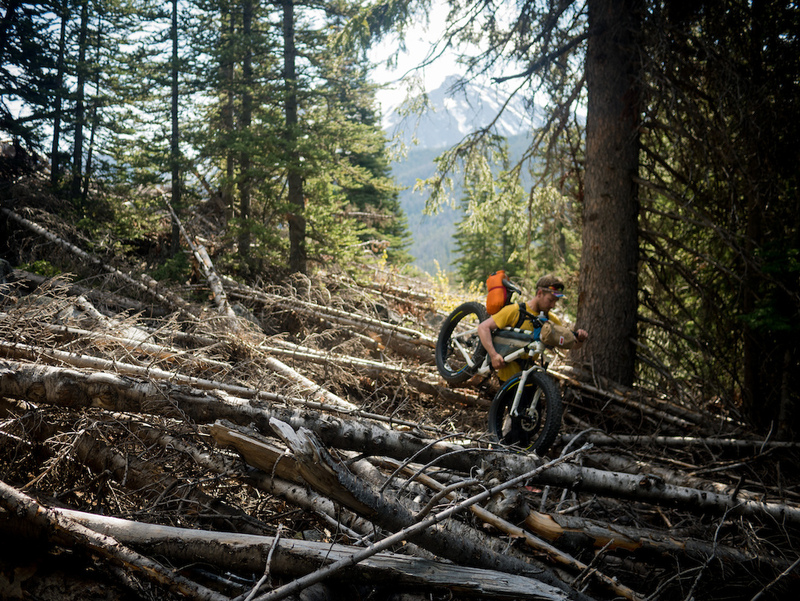 For a minute, we thought we still might be able shred down steeper hills in the heat of the day. 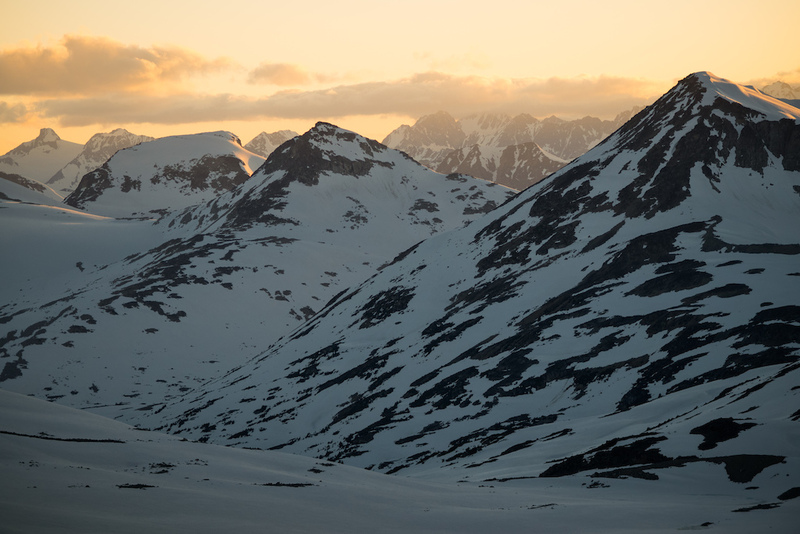 ...interrupted only to take in view of the sunset over depths of the Coast Mountains. By night two we knew how to make the most of the crust, and left as soon as it could support us - just after 2AM - to make a dash for Griswold Pass. 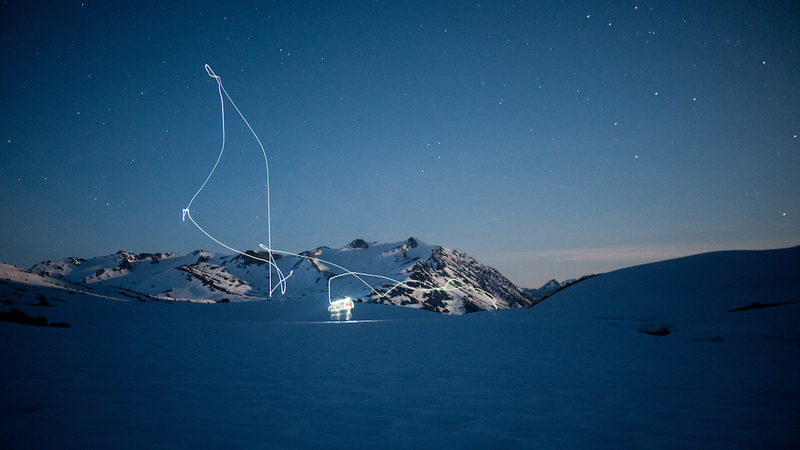 A dropped camera, mid-exposure, becomes a happy accident of light painting. 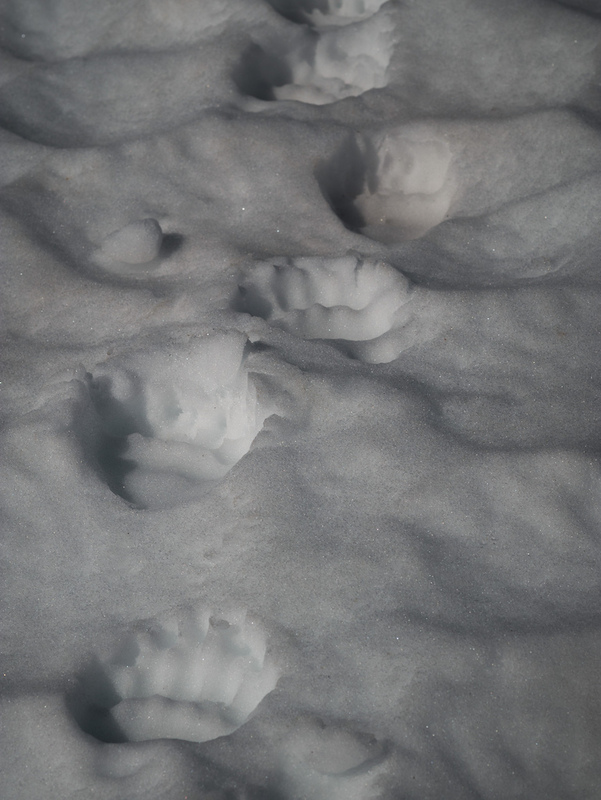 After some tinkering at the pass, we hurried back toward camp, afraid of being caught out in the daily melt. ...had us riding the final kilometres of alpine, back to the lush valley. Before long we were bushwhacking back the way we'd come in, this time pragmatically removing our pedals for a mostly pain-free, few hours out to the logging road. 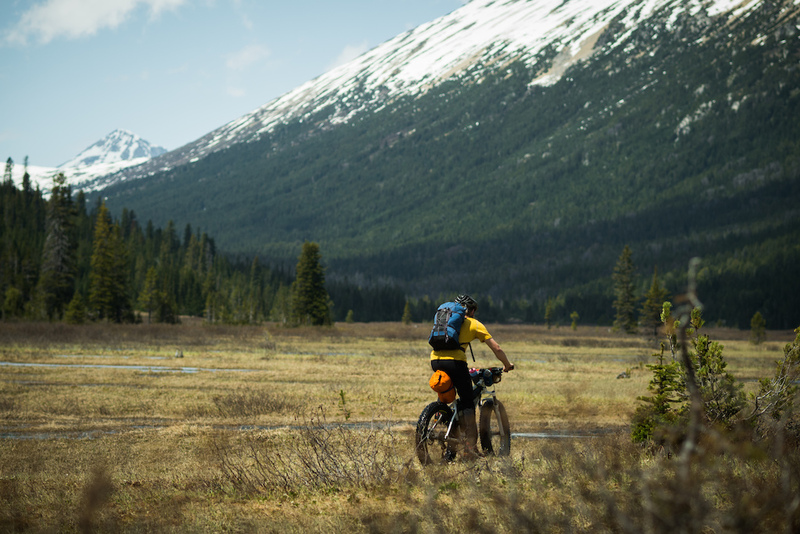 Somehow, despite much post-holing, bike pushing, bushwhacking – an overall terrible ratio of riding to hiking – our frustrated exclamations of “No one does this! There's a reason no one brings a bike here!” were quickly shadowed by an immense excitement for where we were. Our mere 90 kilometres covered over four days were not a failure at all, but rather an eye-opening proof of concept. From our turn-around point at Griswold Pass, a gentle glacier climbed further west – a doorway to one of the world's most expansive sub-polar icefields. And the key to that door might be so simple: just ride at night. Knut Kitching is a graduate geography student, studying climate change adaptation in Canadian Arctic communities. 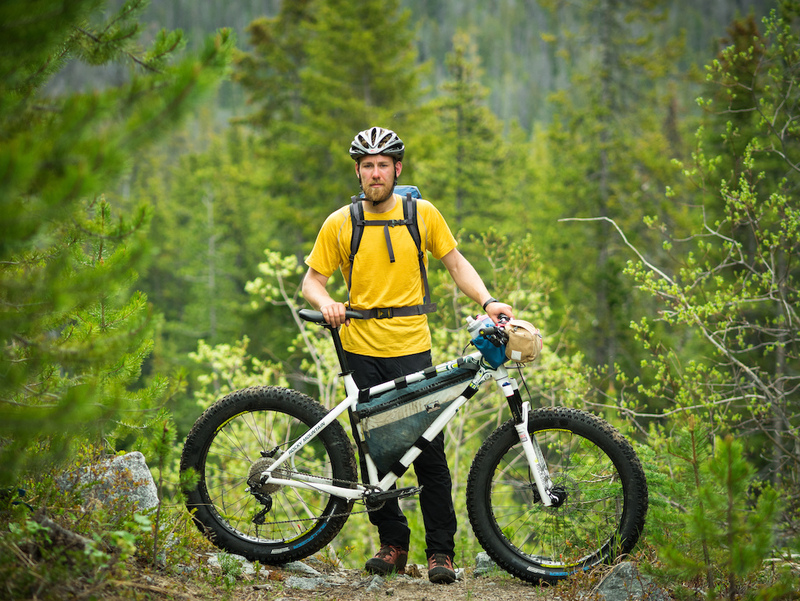 Skyler Des Roches quit his job and moved into a minivan so that he can do more bikepacking. He has still not figured out how he's going to feed himself. A big thanks to Rocky Mountain Bikes for lending us a couple of demo bikes to make this experiment happen. @miketizzle - That pornhub comment is Golden. here have a + lmfao! you boys CRAZY!!! question? would you do it again? Yes! Really nice work Skyler & Knut. It's always winter somewhere, depending on the elevation or hemisphere. Great article! That night shot of him working on his bike upside down is so freakin cool. The color and texture of the snow around him is awesome. Big props to those guys! Did Slim Creek/Wolverine Pass last July, never again! Swamps, tangled brush, no visible trail, hungry horseflies and just when you think your on the trail it disappears. Don't follow flagging tape in trees, that's for snowmobilers! 2% riding, 98% WTF did I get myself into! 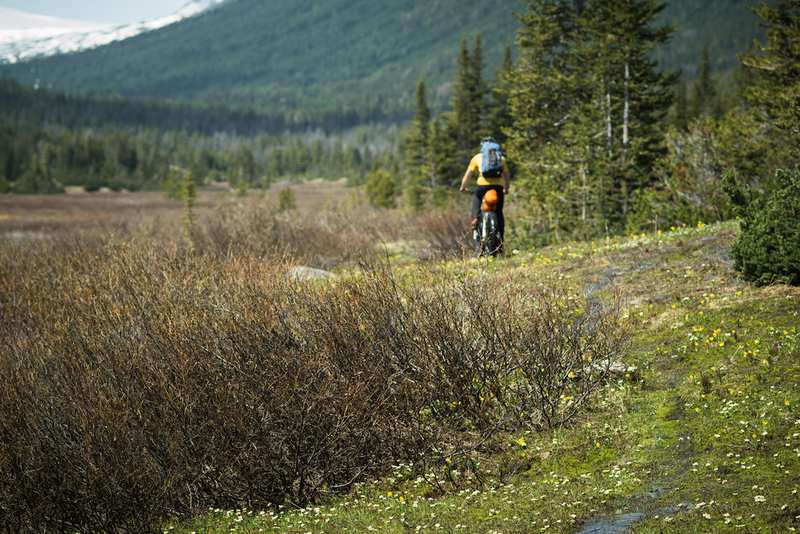 You know this now but Slim Creek is bush central for bikepacking. Lots and lots and lots of blowdown plus slide alder plus devils club central on the N faces. Wow, how inspiring! 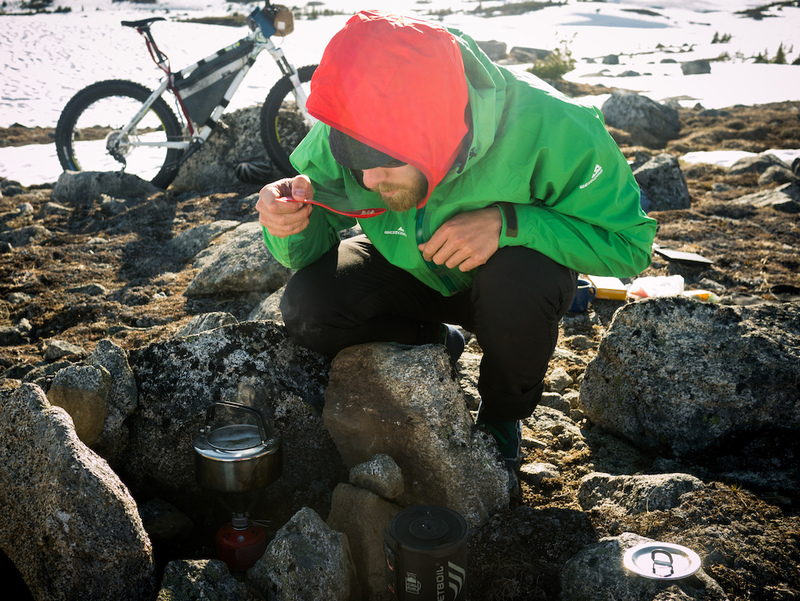 I love these sort of bike packing adventure stories, Pinkbike needs far more. 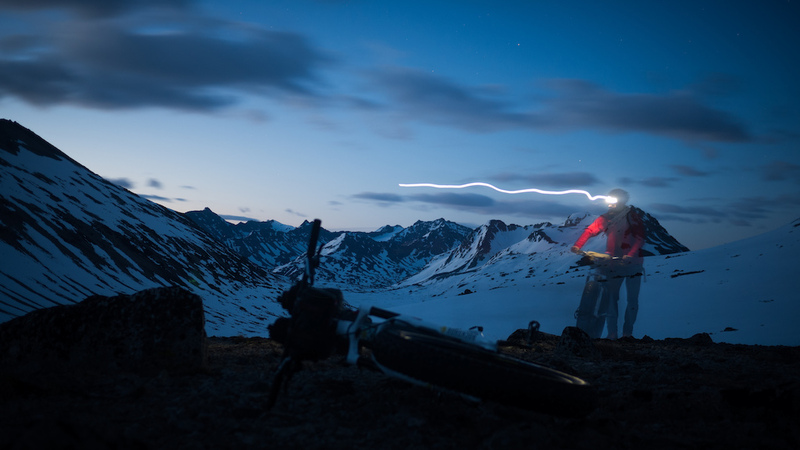 The Tour Divide 2015 has recently been won with multiple men's and women's records. Not a single story covering it on Pinkbike, such a shame! 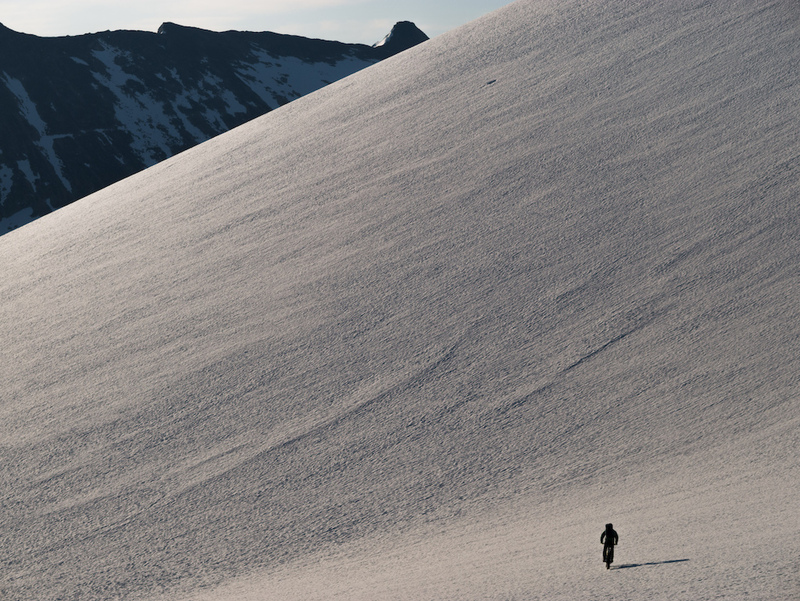 It really seems a lot easier to just hike into the backcountry. 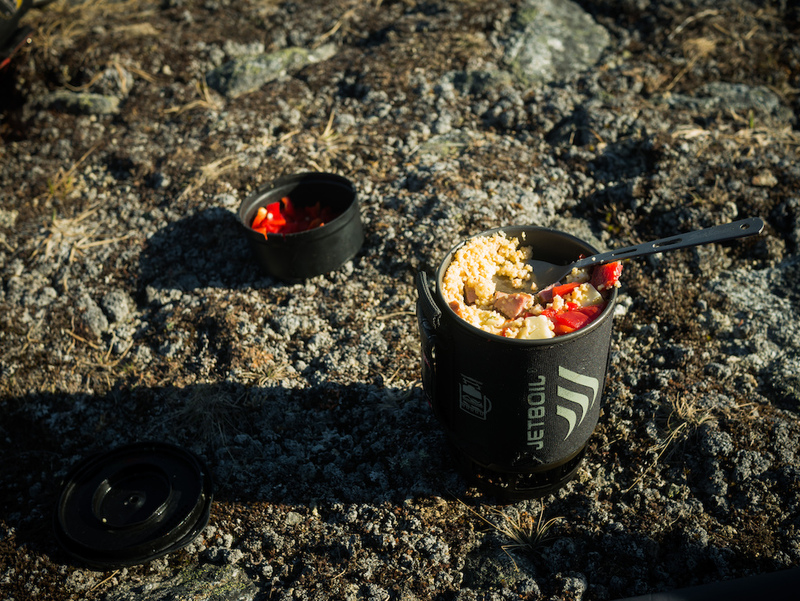 No tools or any bike gear, just the stuff you need for your body. 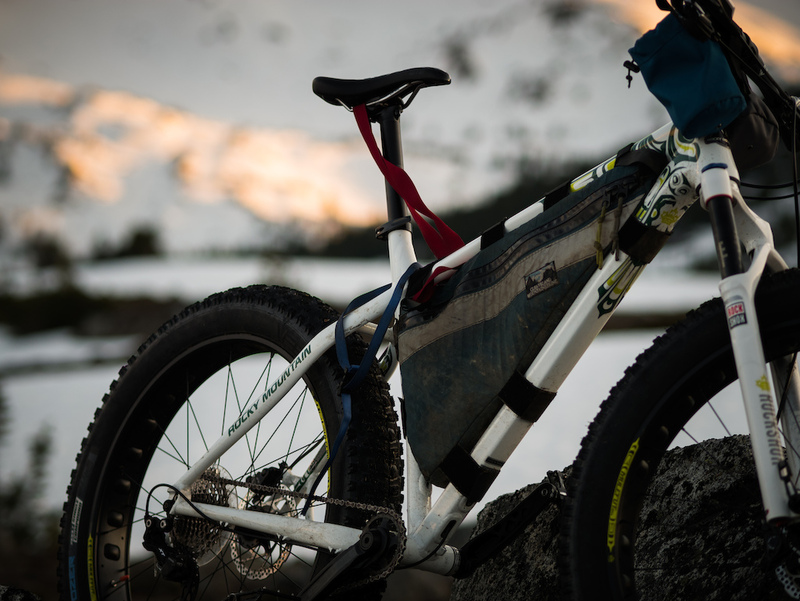 From those photos the mileage gained by those fat bikes seems negligible. I'd be willing to bet they could have covered twice the distance, at least, with alpine touring skis instead of bikes. hell yeah. Seems like they're just out to do something hard. "Knut is a man who enjoys novelty"
For sure. It's obvious efficiency wasn't the name of the game. Silly offrouters. Made for a great read tho. I'm still not figured out how i'm going to feed myself! You look like the kind of guy who can kill a squirrel or two. Nice pictures and great writing as always. Thanks for sharing. 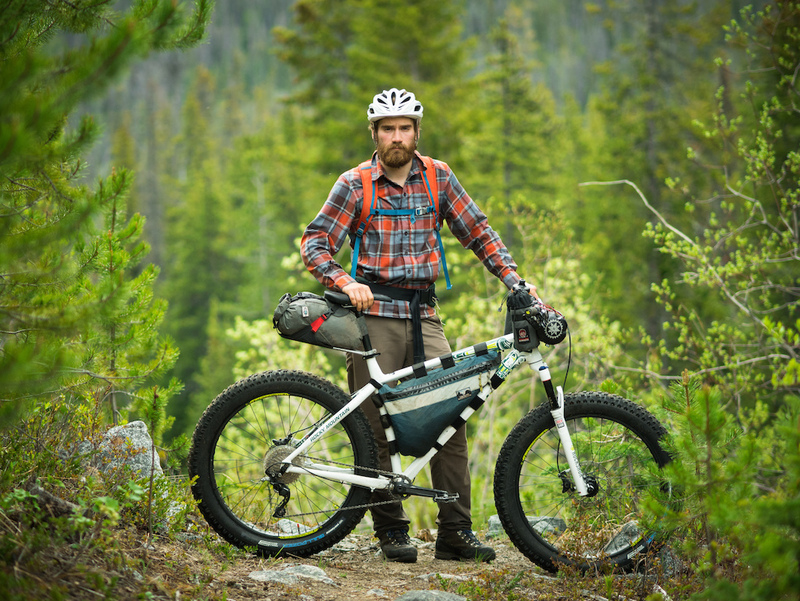 No bikepacking trip report is complete without a gear list. We both tried to focus on keeping weight off the bike as well - pushing a heavy bike is frustrating. Bikepacking on a firmer surface I think we would have changed our packing strategies to some degree (not so much what was brought - but how we carried it). Thanks! 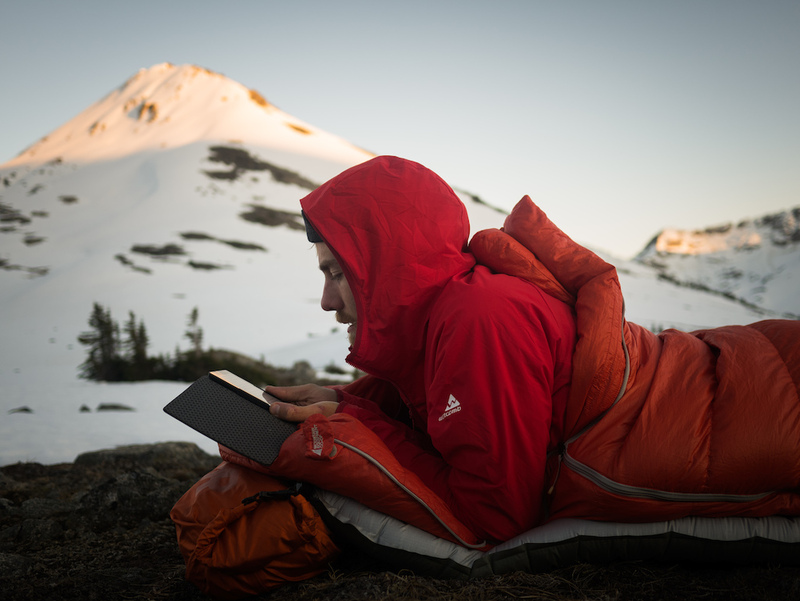 I've actually read your pack list for Canyonlands, which is pertinent to my interests. @knuttk. Frickin awesome article. I miss mountains and July snowpack. Those were always the best trips: doesn't really go to plan, way too much slogging compared to sliding, but man everything still ends up just awesome. I love the short bios! Seeing all the pics of dude walking his fatbike aren't convincing me fatbikes are good for anything!! !